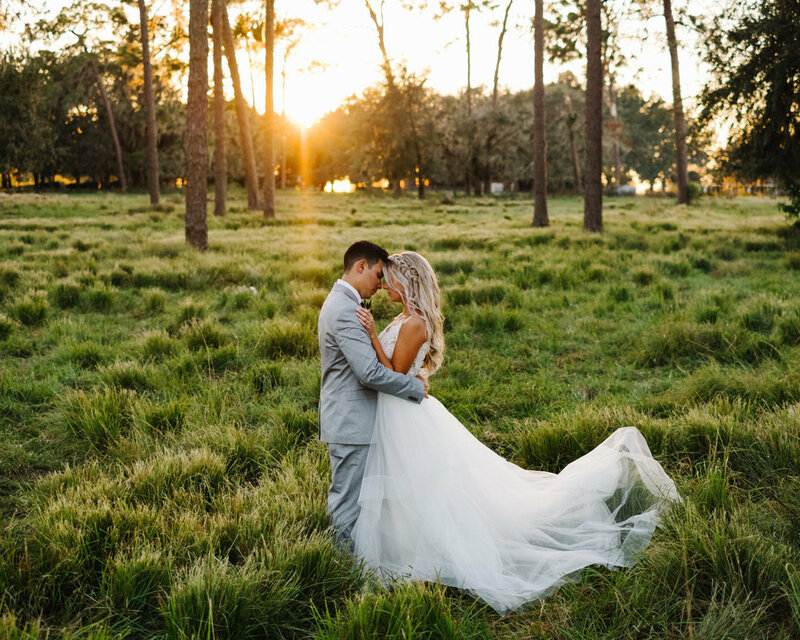 It's safe to say that Alejo & Tara's wedding day was straight out of a dream. 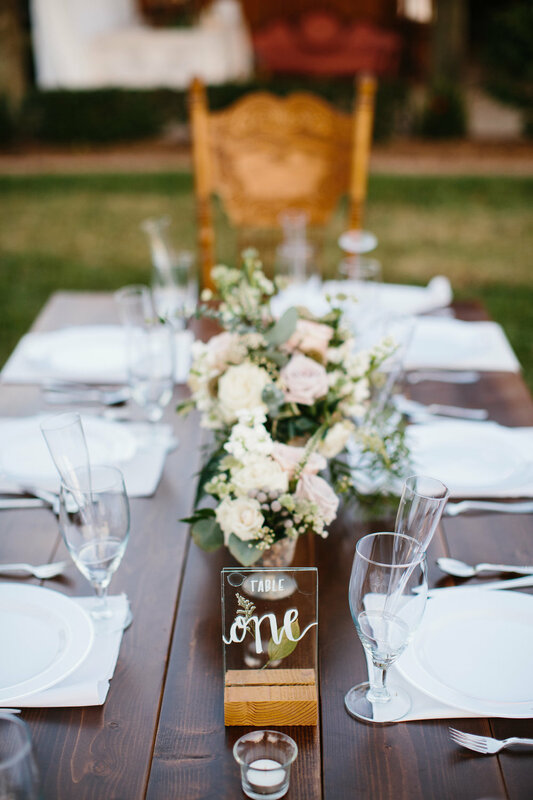 I had the pleasure of helping plan and coordinate Tara's sister's backyard wedding on her family property in 2015, so of course I was thrilled to return on the property for Tara and Alejo's big day in November. 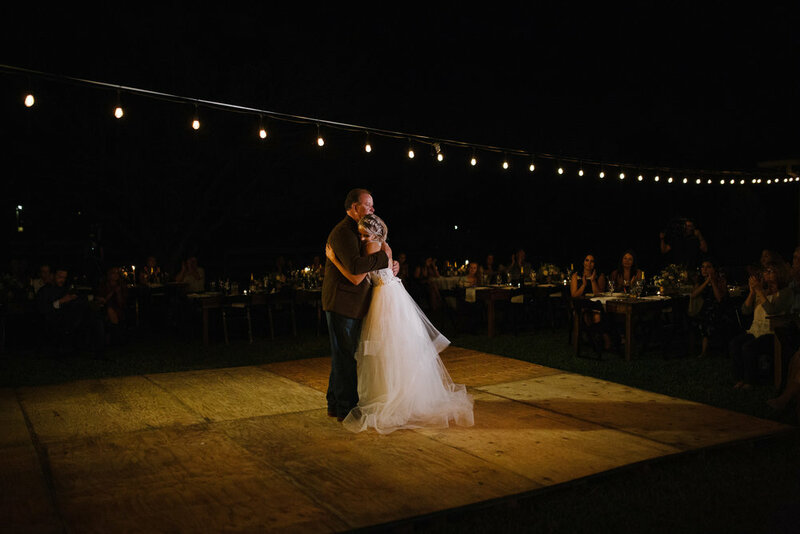 Tara and Alejo are worship leaders within their local church and wished to have the entire congregation attend their ceremony while opting for a private family-style reception in their family's backyard and barn after. 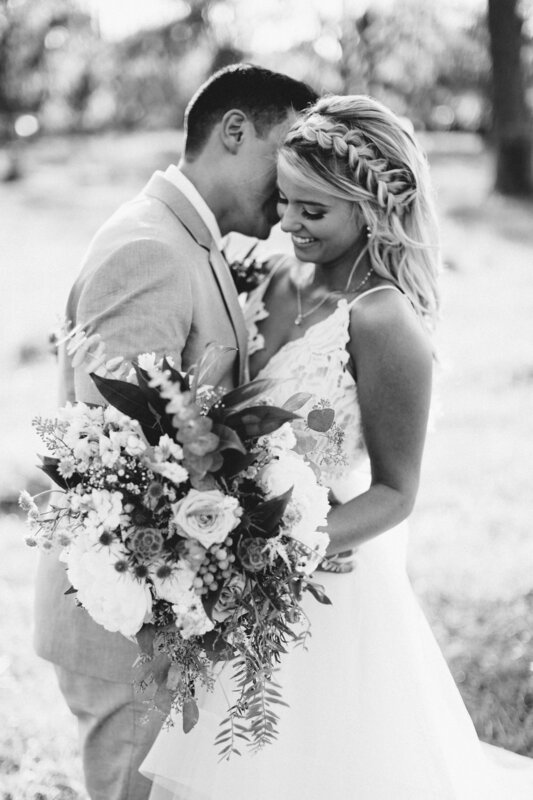 The bride and groom had a private first touch before the ceremony that even gave the vendors a wave of emotion. 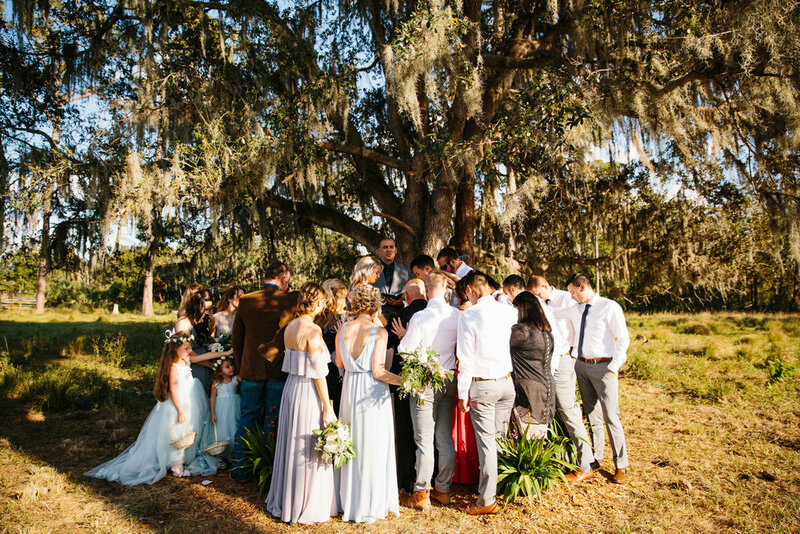 The ceremony took place in an open cattle field that had the perfect amount of brush, trees and greenery to make you feel like you were in a forrest. 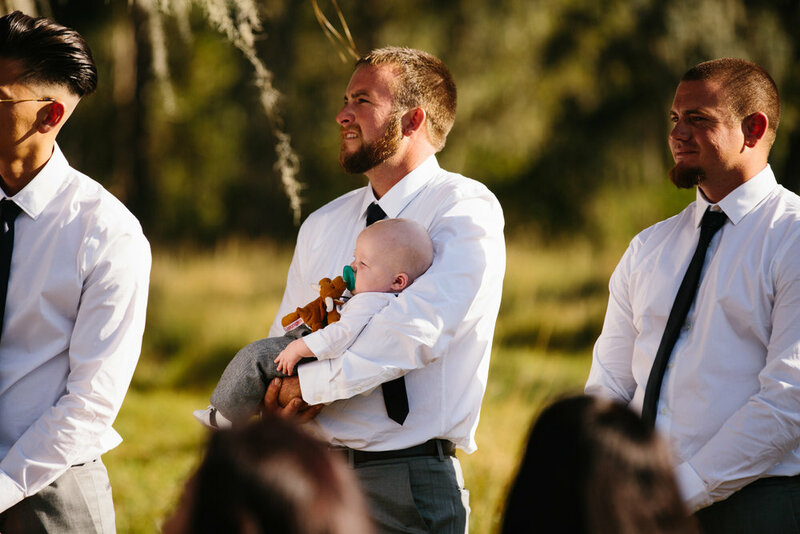 Tara surprised Alejo by not only saying her vows in english but also saying them in Spanish so his family and culture could be honored within the ceremony. After the ceremony all guests attended a cocktail hour on site, toasts to the bride and groom and a formal porporri exit with flowers the bride's mother had collected and dried over the years. 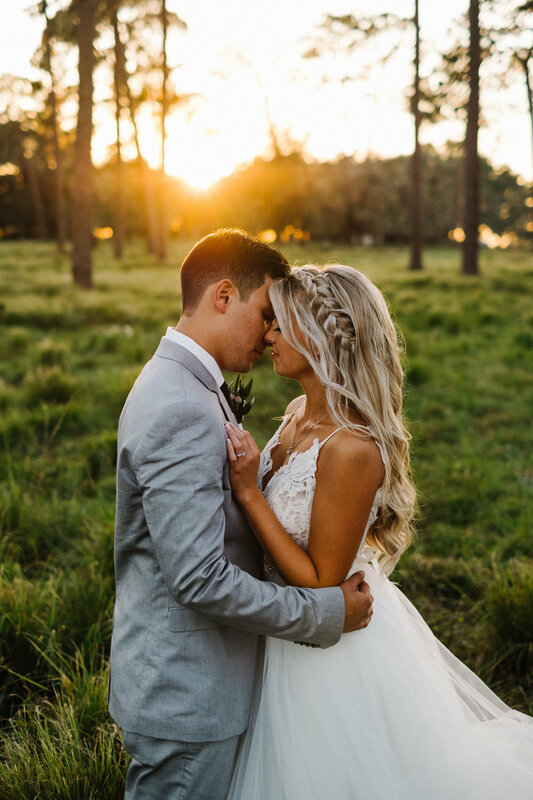 The bride and groom took their golden hour portraits on site before joining their family and close friends for the reception- their portraits are STUNNING! 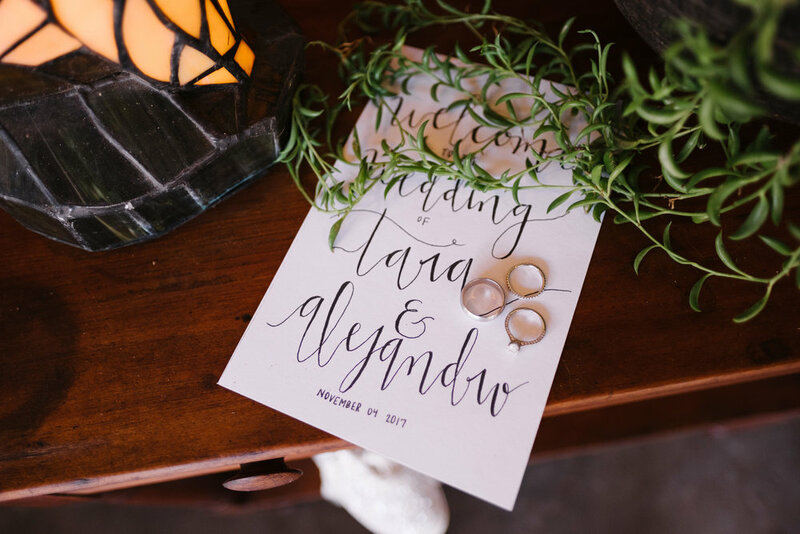 The private reception took place in the family's backyard and barn and consisted of southern style food with a Columbian flare (for the groom and his family), dancing, sentimental toasts and a beautiful sparkler exit under a perfect fall night sky!